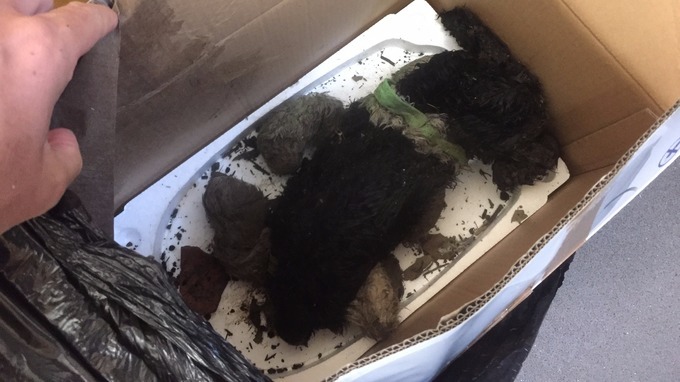 A caring man took what he thought was a dead cat to Guernsey’s animal shelter one evening, but on closer inspection it turned out to be a muddy, wet hand puppet. The finder was ‘very upset’ when he arrived at the GSPCA and was greeted by the shelter’s manager Steve Byrne. When Steve peered into the box he thought he saw a ‘very muddy, wet, insect covered, cold, collapsed small dog with an injured nose’. On closer examination, which didn’t reveal any identification, the man was informed it was in fact a cuddly dog hand puppet. The two men were soon rolling round with laughter and the GSPCA can now say the hand puppet has been washed and takes pride of place in Steve’s office! At least there are caring people in this world ready to help out an injured creature in need, just a shame they didn’t stop at the opticians first!